Love seafood? 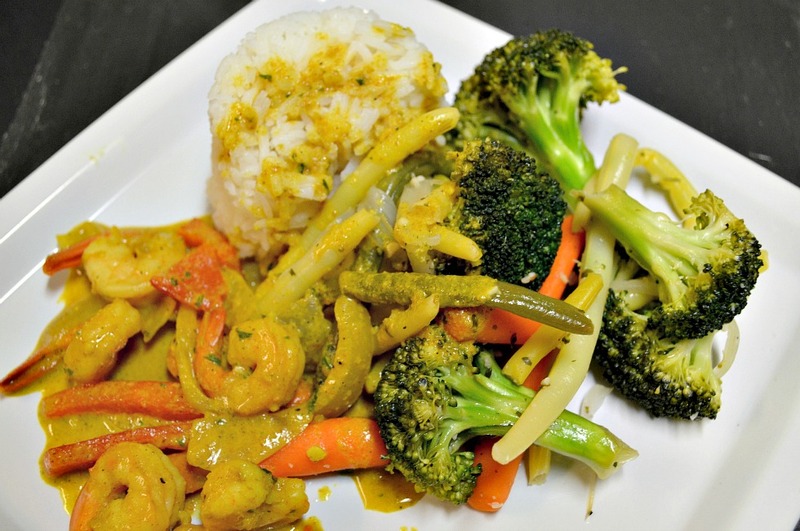 Want a quick, delicious, Caribbean/Asian inspired dinner? 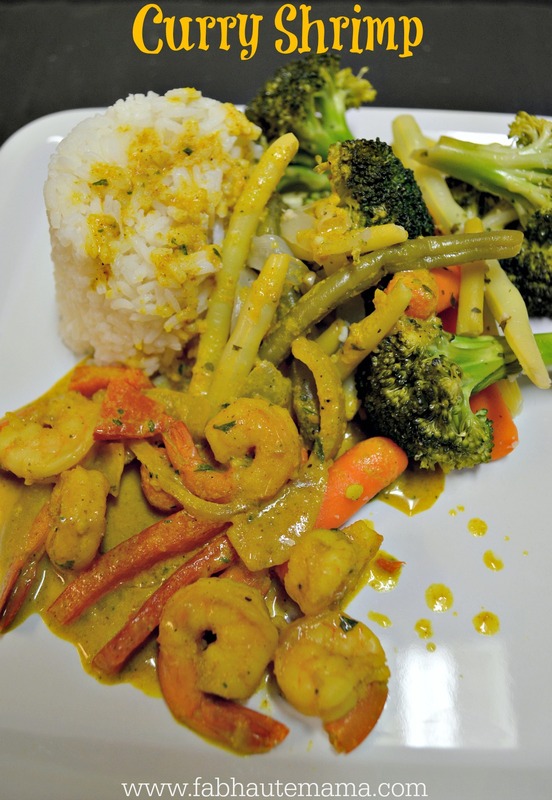 Let this Curry Shrimp recipe take you to another land. 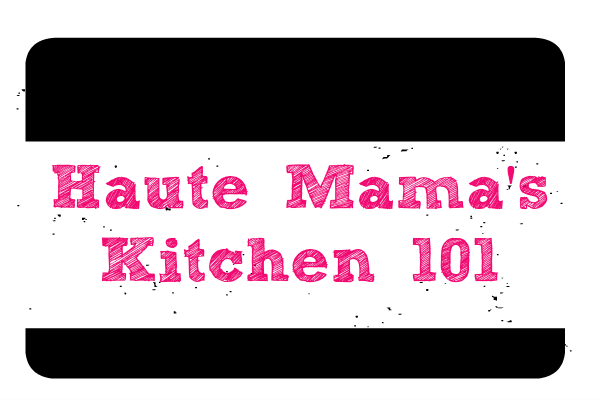 As a Caribbean American, I am proud to share recipes, stories and more from my background. Our family is from the beautiful island of Jamaica. A part of being from the Caribbean islands means I have a diverse family lineage like most people in the Caribbean. One of the main things that continues to represent that diversity is the food. 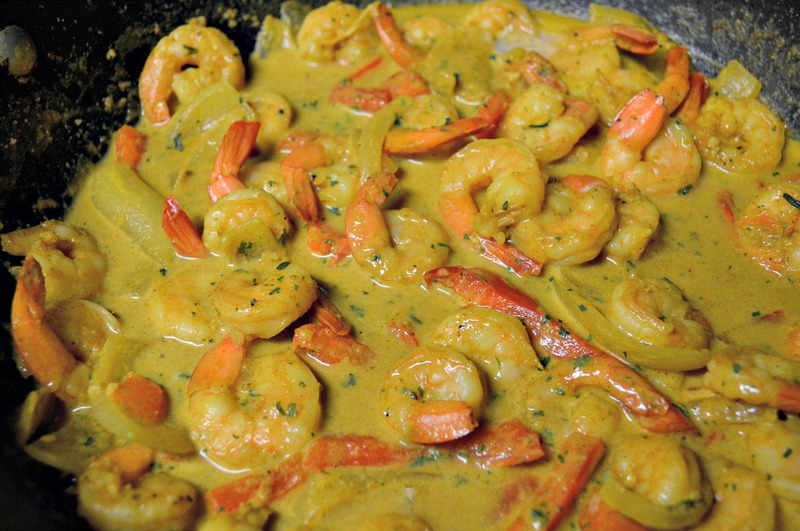 Today I am sharing a childhood favorite Curry Shrimp. 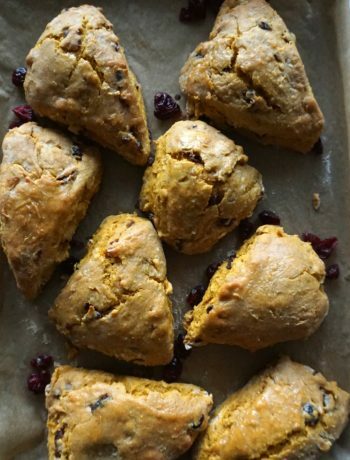 One of the great things about this recipe is how quick and easy it is to prepare. 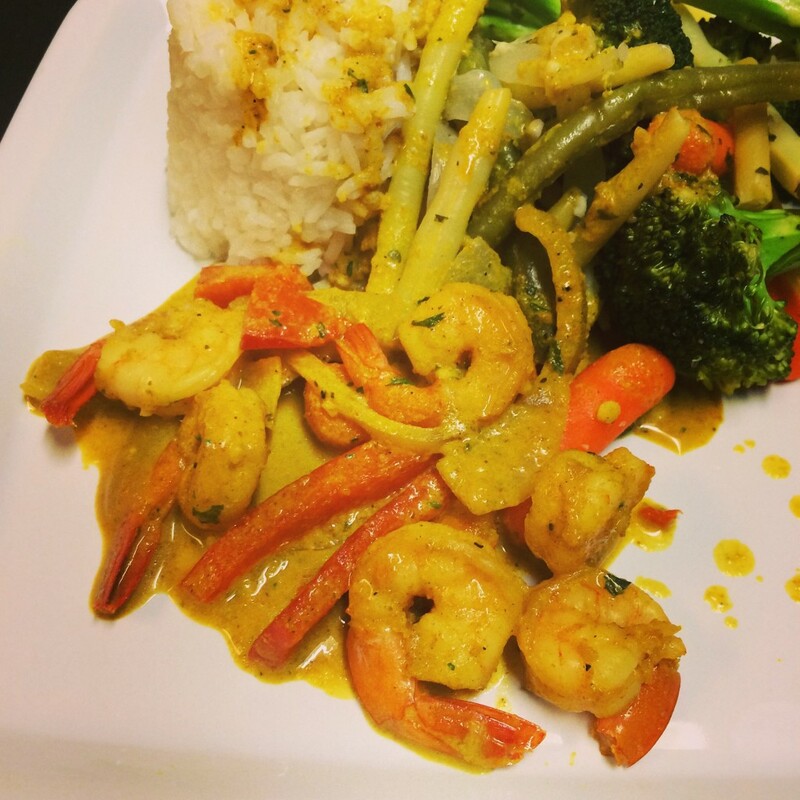 Depending on what you are serving it with, the Curry Shrimp itself will be done within 20 minutes. This includes a quick defrost in cold water if you are using frozen shrimp. Ok back to the recipe. 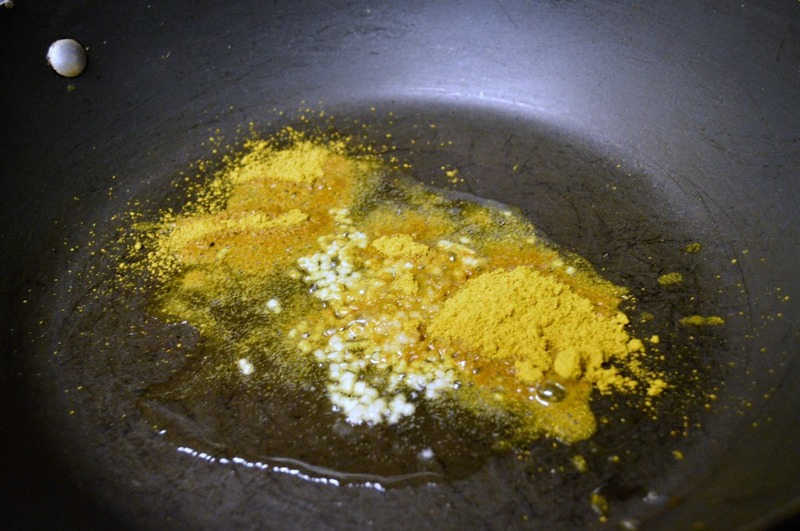 If making a curried dish is a mystery to you here is a quick tidbit: You want to “burn” your curry in the pot prior to adding the main ingredients. This opens up the flavor. Now don’t take “burn” literally. There is a reason it’s in quotations. LOL. 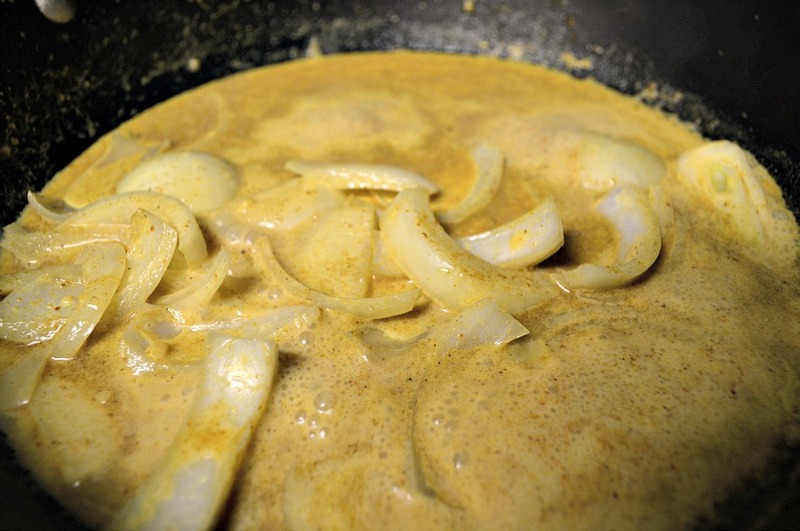 Burning the curry simply means to cook it in a little oil before adding liquids. There may be a more technical cooking term but this is how we refer to the technique in the Caribbean. Last but not least: The Shrimp! Defrost shrimp in cold water. Clean and season then set aside. 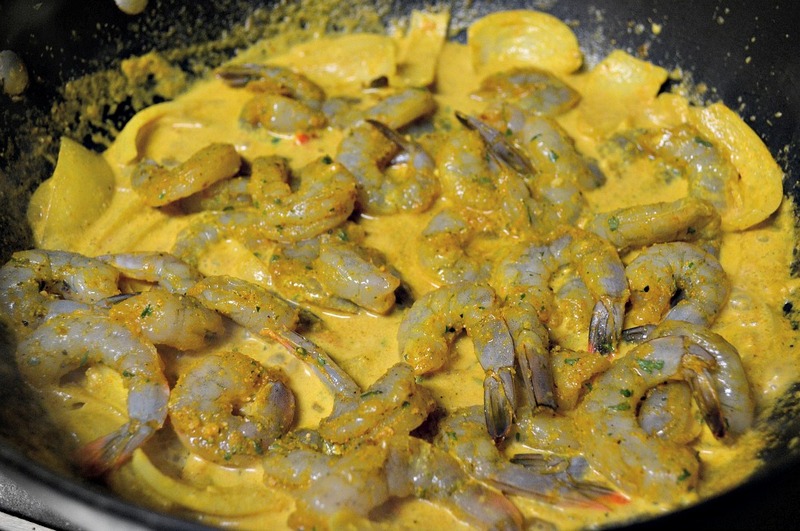 Heat the garlic olive oil then add the curry and marsala powders stirring to avoid sticking. Once fragrant, add the milk, water, onions, bell pepper and ginger. Bring to boil. Add shrimp and cook until shrimp turns pink. Serve with sticky rice and veggies or roti style. You add add potatoes to make this a complete meal. Boil separately then add to the final pot. What’s your favorite cuisine from around the world? Yes Vee, make the curry. The husband is already asking for more. LOL. You’re welcome Christine. Yep “burn” your curry girl. LOL. 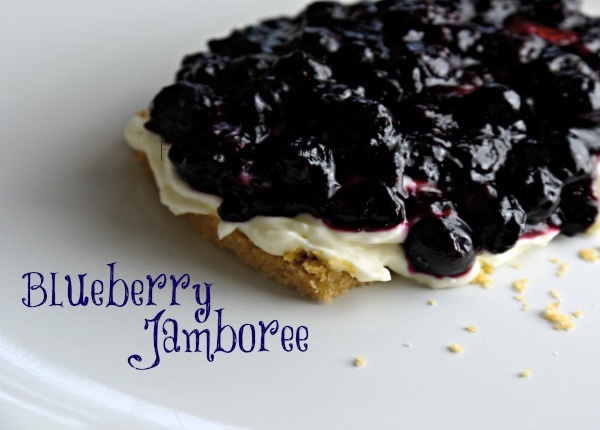 It is always great to find a quick and easy recipe. I like recipes that combine food ideas from different cultures. Thanks Janeane. And I agree, I love food and recipes from all around the world.